Amy join us for a fascinating conversation about her UFO sightings and her haunting experience at the family property! Matt comes on the show to share about his time as a child living in his mother's haunted house. As time went on he experienced your typical haunting noises to seeing poltergeist activity happen more than one would like. But it all culminated to an experience that was unexpected and petrifying when an unnatural head appeared outside of his room and showed him more attention than he could handle. 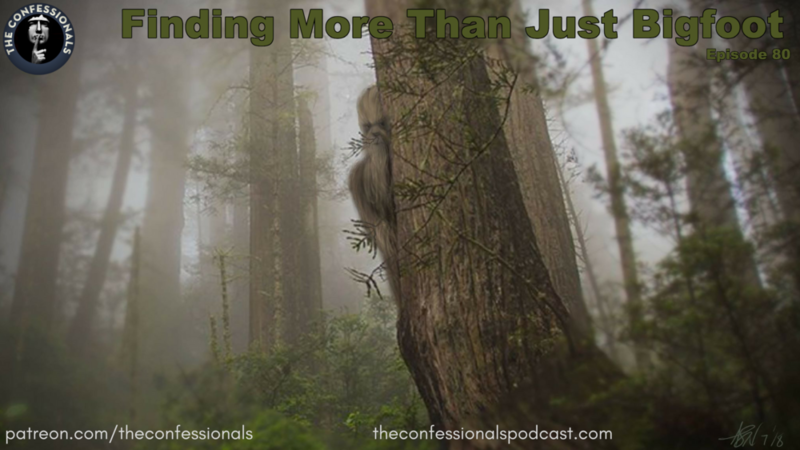 Tonight we bring on Eric who has been investigating sightings of not only bigfoot but also, dogman, UFO's and anything strange. Join us as Eric shares his personal experiences that got him head over heels for investigating. Josh comes on the show to share about an ongoing situation he and his family are having on their 20 acres in Oklahoma. It started with his brother seeing a white two-legged animal that he had no reference point to define. As time went on Josh has been having his own experiences which includes a white mouthless creature! On Episode 78: Abducted with Lost Time, guest Ryan shares his missing time experiences, and how as they happened to both him and his friends, he realized that he was being abducted. From missing time to ET-like entities running through his house, don't miss this jaw-dropping abduction episode! Elaine comes on tonight to share the experiences that prompted her to write a book! From parents that were Christian and Wiccan to dreams that predicted the future! Join us as Elaine dives deep into it tonight! Pastor Tim comes on to recall his experiences of seeing people healed, raised from the dead and even seeing bigfoot!